First up today is to answer some of the comment questions from Wednesday's post about Flash. A number of people asked about washing and shrinkage of the Artisan Cottons from Windam Fabrics. 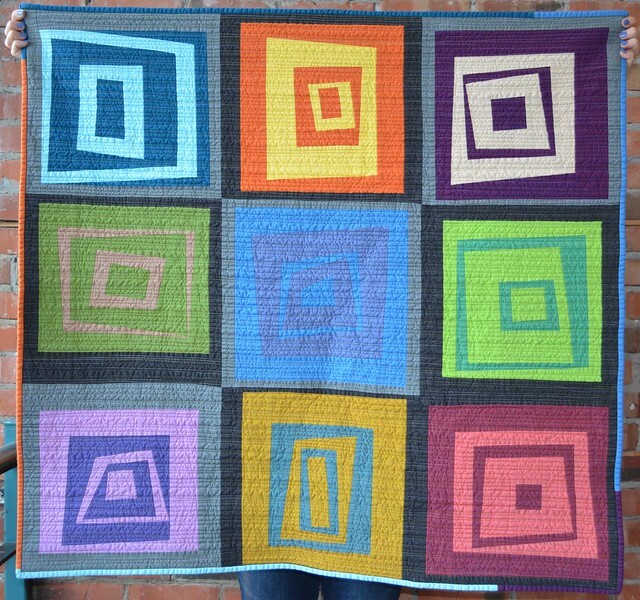 The photo above is the quilt after washing in nice light. She measures about 40.5" square now and has a lovely crinkle. The photo above was taken before I washed and dried her. The light is terrible so it does not show the fabrics off properly, but you can see how much flatter the quilt is. At this point she measured about 43"square. So the quilt drew in or shrunk about 3" on each axis in the wash and dry. This happens with all my quilts, made from any fabrics I use and this amount of draw in seems about right to me - so no more or less with the Artisan Cottons than I experience with regular quilting cottons (which I also pre-wash). 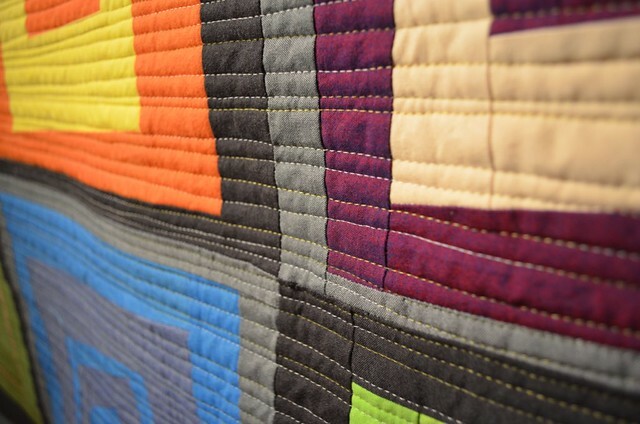 I also point out that as the quilt is used, some of the draw in relaxes until the next time it is washed. Here are two close ups for comparison too. The one above is before the wash, the one below after. The washing also softens the quilts with dense quilting so they are no longer cardboard like and instead are soft blankets. Another thing some people asked was how to make these blocks. There are many tutorials on the internet already, but I will make you a tutorial of my approach for later this week. A pattern was requested too but I think with a tutorial you will be set. 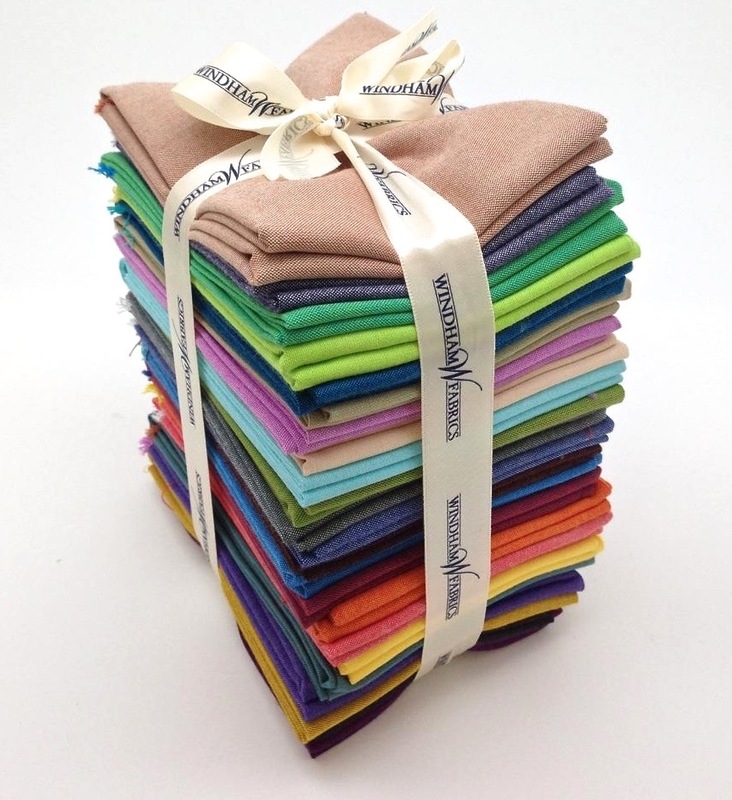 Next up is to announce that Julie's comment was picked by the random number generator as the winner of that beautiful bundle of Artisan Cottons from Windham Fabrics. I'll email you Julie, congratulations! Thank you to all of you for the lovely comments about Flash, I am so glad everyone likes her - I wish I had time this week to reply to each of the comments individually but sadly I don't when there are so many comments for a giveaway. 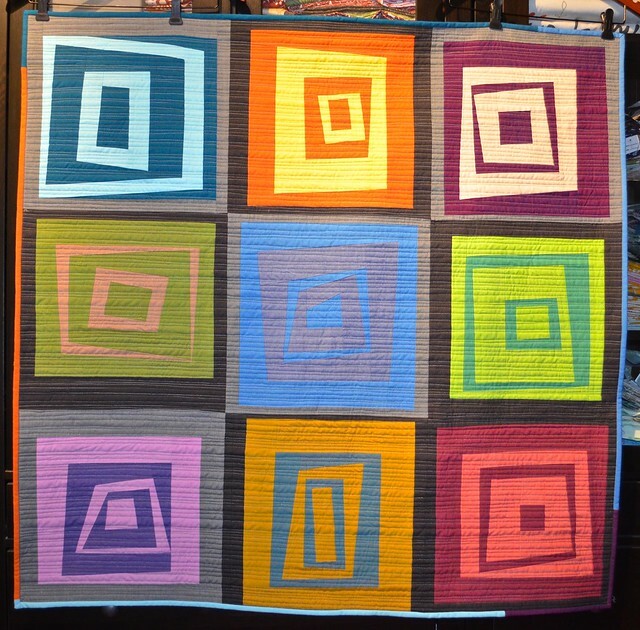 Now my question: Are you going to QuiltCon? And if you are, are you making small buttons to exchange? I have nice business cards to share but I have been seeing these buttons popping up here and there and now wonder if I need to have some buttons made too. So, what do you think about buttons - yes or no? By the way, if you see me at QuiltCon, please come and talk to me if I don't see you first. I will be about every day and at the Moda Party too. I expect that a lot of people there, like last time, will not be part of the internet quilting community, and it is easy to miss those who are. So please don't be shy. I've even put my photo over on the side bar now so you can find me - I hate photos of me, as I am one of the mature quilters with a roundy shape - although I'm working through my plan to address the shape issue over this year and in my head I will be 29 forever. I'm off to sew, I realized that the deadline for submissions to the Quilt Canada show is next week - February 4, 2015 at noon EST - and last night I have decided to try to make new quilt for it - wish me luck. I do have a back up plan, should this be far too much to do, but one can try. Thanks for the reminder about Quilt Canada! I had it on my list to check that. I'm not doing buttons. I frankly have to interest in collecting buttons myself, but all the power to those who want to. 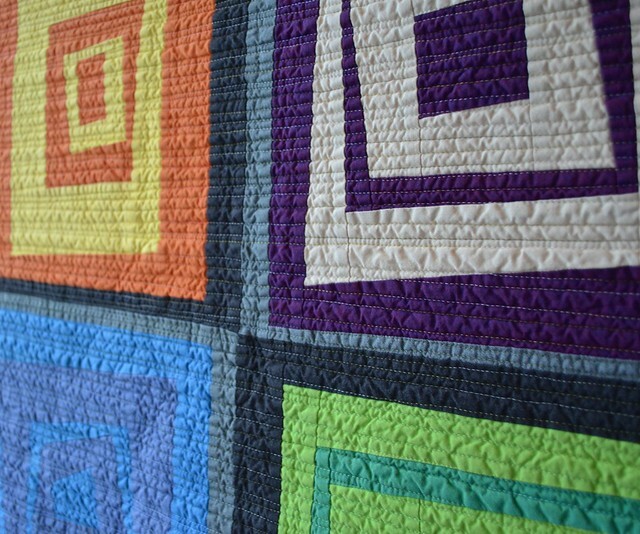 Love this quilt Leanne! Yes, I have ordered buttons from zazzle. I had cards made but then saw the button exchange and decided to join in. Could I possibly be THE Julie? That would be exciting. I am going to Quiltcon but will not be making buttons. They look fun though.